DAW 2015 will be held from October 5-11 in England, Wales and Northern Ireland. The theme for 2015 is ‘Making Sense of Dyslexia’ and looks at how much of an impact the right support and interventions can have on the future for people with dyslexia. Here we highlight the support and interventions available to Cardiff University students. Dyslexia affects everyone differently and not everyone with dyslexia will struggle with reading. The brain is “plastic” and the more you perform an activity the better you will become at it, so individuals with dyslexic who do struggle to read can improve their reading skills through practice. This is a very common reason we’re given as to why students have not been screened for dyslexia before coming to Cardiff University. Students often inform us that they have been told by their previous educators that due to their high grades they can’t possibly have dyslexia. 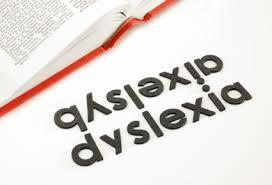 Individuals with below, average or above average abilities can have dyslexia. Students with dyslexia can do very well in education through achieving good grades. However, they may have to spend twice as much time on their studies to achieve such grades. Receiving a diagnosis of dyslexia and implementing appropriate support strategies can allow students with dyslexia to show their true potential. If you are in doubt as to whether you have dyslexia, or another specific learning difficulty, then please book an appointment with Chloe, Cardiff University’s Disability & Dyslexia Adviser. Chloe Harrison is the Dyslexia Adviser within the Student Support Team. Her role involves meeting with disabled students, mainly those with a Specific Learning Difficulty (SpLD), to discuss their support needs and the impact these may have on their study. Chloe carries out SpLD screenings for students; screening dyslexia, dyspraxia, dyscalculia and ADHD, and advises students about undergoing diagnostic assessments. Chloe is based within the Student Support Centre at 50 Park Place. Her other duties include coordinating a team of Study Skills Tutors who work with students with a range of different support needs and also involved in promoting our services and disability through our accounts on Twitter and Facebook. If you think you may have a SpLD and wish to be screened and/or assessed, please book a screening appointment, or screening drop-in appointment, by emailing: dyslexia@cardiff.ac.uk. If you wish to review to your Study Skills Support, or wish to discuss accessing this support, please contact study-skills-support@cardiff.ac.uk. Screening is an invaluable service as many students’ specific difficulties have yet to be appropriately recognised, despite being in education for over twelve years. Moving from further to higher education can also highlight the limitations of previously successful compensatory strategies. Screening appointments with a Disability Adviser are recommended for those students’ whose outcome is inconclusive, indicating “none” or “few” indicators, but who wish to pursue further screening. Screening Drop-in appointments with our Dyslexia Adviser are recommended for those students whose outcome states “some”, “many” or “most” indicators. In this 20 minute appointment, a discussion regarding any previous history of need, support received at school/college and advice regarding the appropriate route of further screening will take place. Both appointments can lead to information regarding accessing Cardiff University support, e.g. accessing the workshops and mentoring service the Academic and Skills Development Centre provide, and using Cardiff University’s assistive software (TextHelp/MindView), but it could also potentially lead to undergoing a diagnostic assessment. An Adviser will discuss these options with you, allowing you to make an informed decision regarding which course of action, if any, you wish to take. 1. Ask questions you may have regarding the assessment process and how your diagnosis was decided in your Report Feedback appointment with your Disability Adviser. There is no such thing as a “stupid” question. 2. Read through your report in full when you get home – Use Cardiff University’s assistive technology (AT) TextHelp Read Aloud software to listen to the report’s content to aid your understanding – these reports are LONG and difficult to decipher, so use our AT to help you comprehend this important document. If questions arise at this stage – contact your Disability Adviser to seek clarity. Insight = Empowerment. 3. Focus on the positive. Don’t underplay your strengths and successes by being modest as this can cause us to focus too much on things we are not as good at, e.g. typically working memory for dyslexic individuals, rather than the, often many, things we are good at, e.g. visual ability. Don’t fall into this trap, allow your average to above average scores to be celebrated! Complete the next stage in the process of accessing support ASAP. If a diagnosis of a SpLD has been made, you will be entitled to apply for Disabled Students’ Allowance. Your Disability Adviser will guide you through this process; for NHS funded students we make this application on your behalf, but SFE and SFW funded students are required to submit the necessary application themselves, so don’t delay in sending off the appropriate documentation. If you are unsure whether you have a SpLD, or know that you do but are yet to organise your diagnostic assessment, contact the Disability and Dyslexia Service, Email: dyslexia@cardiff.ac.uk for further information. Please follow us on Twitter and like our Facebook pages to keep up to date with all our Disability and Dyslexia related events. If you have any questions or would like support please Email: dyslexia@cardiff.ac.uk , call: 02920 874844 or drop into the Student Support Centres at 50 Park Place, Cathays Campus or 2nd Floor, or Cardigan House, Heath Park Campus, to book an appointment.